McCalls Pattern 6035 is a fabulous shirt pattern. 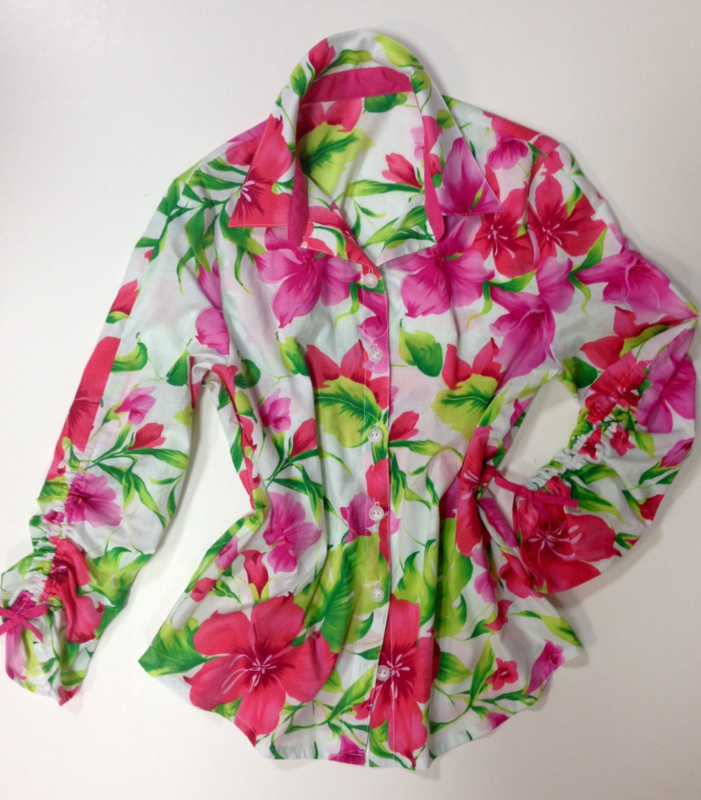 Check out my new ‘Hibiscus’ themed shirt I made from this pattern, my feature video & 5 sewing tips below for making the McCalls 6035 pattern. Stitch the curved hemline BEFORE you sew the side seams. If you have an overlocker (serging machine) use it on the curved part of the hemline using a differential feed feature. This gathers the curve so when you take the hemline up, the fabric easily eases around the curve and sits perfectly flat. When stitching the buttonholes, use a small amount of fabric fray glue on the wrong side of the buttonhole. This prevents the buttonhole from unraveling or fraying. Introduce a contrasting fabric for the collar stand and front tab for added interest. When using a contrasting fabric ensure it is compatible with the main fabric used. 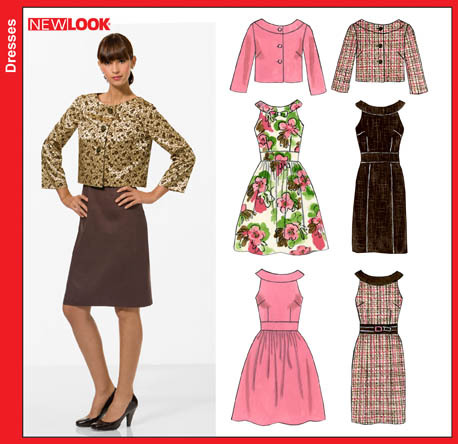 McCalls Pattern 6035 has 4 shirt views, princess line and a variety of sleeve styles for your selection. Suggested fabrics are: lightweight fabrics such as cotton, cotton blends, challis, crepe de chine, silk rayon & linen. 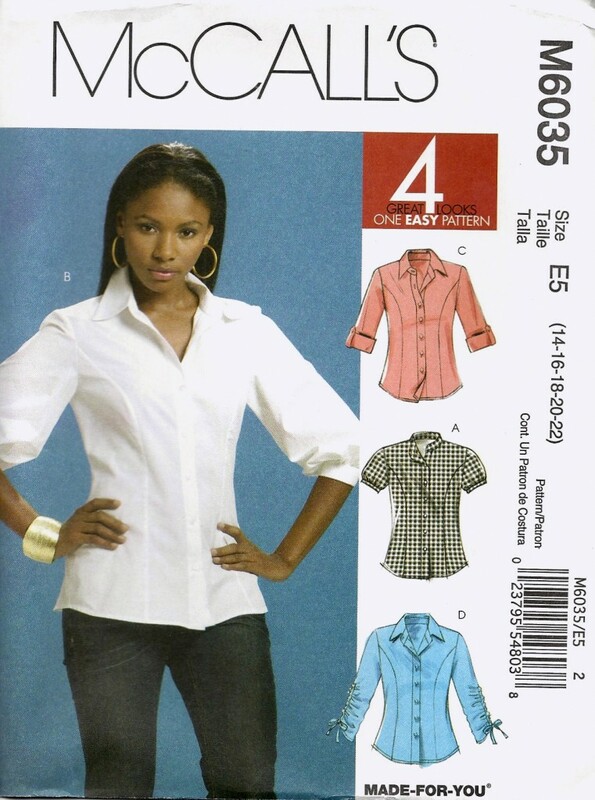 Have you made this McCalls M6035 Shirt pattern too or are inspired to sew it up for yourself? 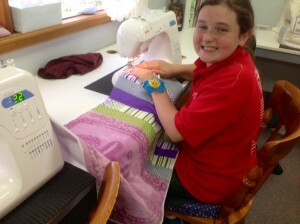 Term 3 Sewing Class List – BOOK NOW! 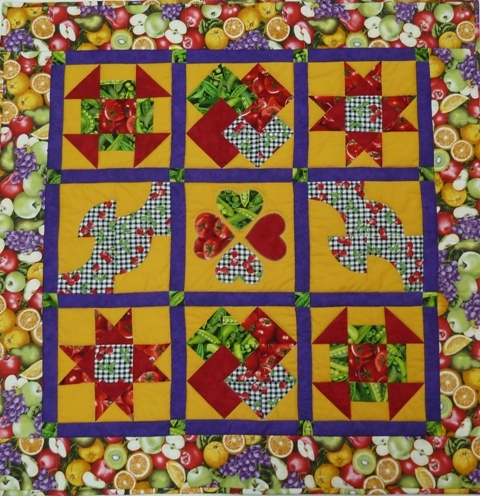 We had a fabulous term of sewing classes and now I’m pleased to announce that I have the following general sewing, beginner sewing, quilting and kids sewing classes available for Term 3! * Monday Morning 9.30am-12noon – x1 spot left! * Monday Afternoon 1pm-3.30pm – x2 spots left! * Thursday morning 9.30am-12noon – x2 spots left! Term 3 commences from Monday 20th July and runs for 9 weeks. - perfect to learn to sew your first quilt! If you would like to book one of the above classes simply click on the link below to complete your online booking. Or email me to ask any questions and arrange a time to discuss which class may best suit you. * Please note places are limited and fill fast so please book ASAP to secure your spot as I don’t want you to miss out! I look forward to seeing you in one of our Term 3 classes.